Thinking of littering in Hong Kong? You could soon be a poster child for the problem. The legalities of labeling people as litterers this way must be awfully complicated, and it's not entirely clear how close the images might be to the real people. But the campaign is certainly fascinating in a CSI kind of way. "This campaign is one of a kind," says Reed Collins, chief creative officer at Ogilvy Hong Kong. "It's interactive. It's innovative. It's our own science experiment that we're using to create social change. 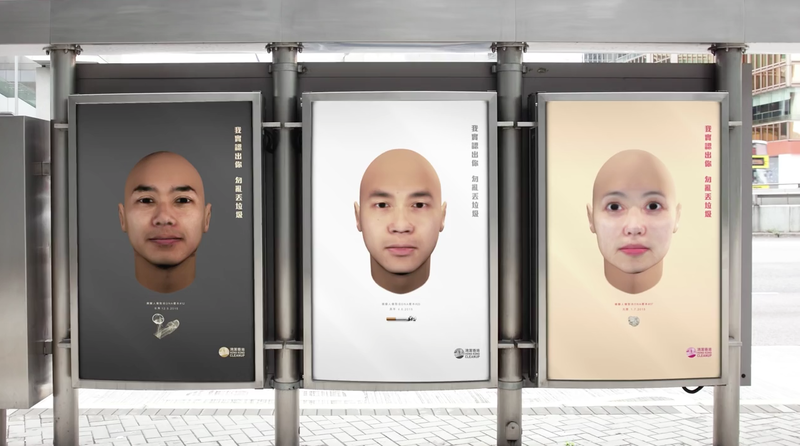 Litter is such a major problem in Hong Kong, and thanks to technology, we can now put a face to this anonymous crime and get people to think twice about littering." Read more at Ecozine. Via Laughing Squid.